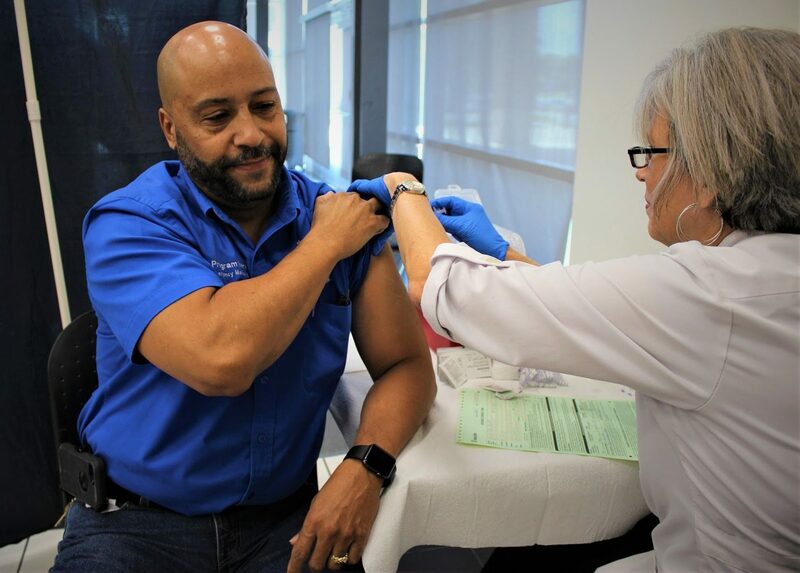 With weeks left to earn the 2019 Wellness Reward, employees on all the Seminole State campuses took advantage of the annual flu shots being offered. Among those getting flu shots last week were the college’s new president, Dr. Georgia Lorenz. 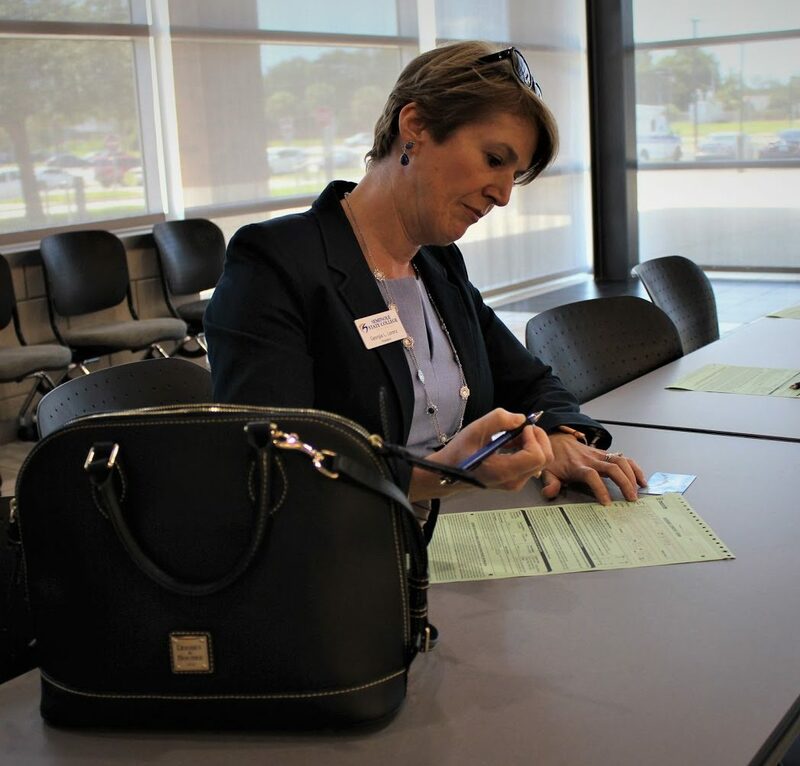 Seminole State partners with the Florida Blue and Maxim Health systems to offer flu shots, and getting vaccinated can earn employees 100 points toward the Wellness Reward offered by the plan. If employees reach a certain amount of points, they can get a $50 monthly reward added to their paychecks, according to a news release. If employees are eligible, they can receive the flu shots for free. If certain employees are not eligible for the college insurance, they can pay $30 to receive the flu shots. At the first of two flu shot clinics Sept. 19 at the Sanford/Lake Mary campus, biology professor Laila Nimri said she has been getting flu shots as long as she can remember. “I believe they help me,” she said. Student Caleb Shaefer, who attends classes at the Oviedo campus, is in the middle with the idea of flu shots. Shaefer said he only received flu shots when they were required back in grade school, but he still has not gotten the flu once. According to Denise Waul, the college’s manager of employee benefits, offering flu shots on campus is “a way for employees to conveniently get shots” rather than going somewhere off-campus. “We typically get 50 percent participation, about 300 to 400 participants throughout each of the campuses,” Waul said. The Centers for Disease Control and Prevention states that “getting the flu vaccine has been shown to reduce the risk of having to go to the doctor with the flu by 40 percent to 60 percent.” Even if an individual catches the flu but has had the flu shot, the severity of the flu’s symptoms are weaker than the usual symptoms that occur, the Center explained. At the second clinic at the college’s main campus Sept. 21, Angel Nater, program manager for Emergency Medical Services at SSC, rolled up his shirt for a shot. Staff reporter Fletcher McCall contributed to this story.